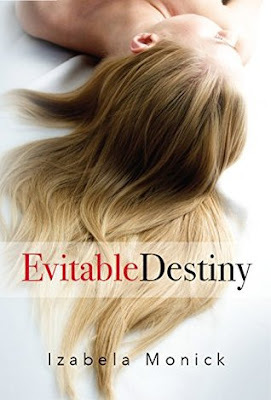 Evitable Destiny is a heart-throbbing, gut-turning, love-fuelled story - beautifully written by author Izabela Monick. An excellent book for summer reading - bring it with you to the beach, but only if you can contain yourself. The author did a masterful job of building a sense of mystery and suspense. This glimpse inside the Stockholm Syndrome is a fascinating read and will surely satisfy lovers of a steamy, kidnapping romance. Izabela is a brilliant storyteller, creating characters that are both flawed and passionate. I thought Julia was an interesting character to read about. I couldn't always make sense of her behaviour or actions, but she did intrigue me. This book was crazy addicting as it took hold of me from the beginning and had me racing through the pages until the very end.